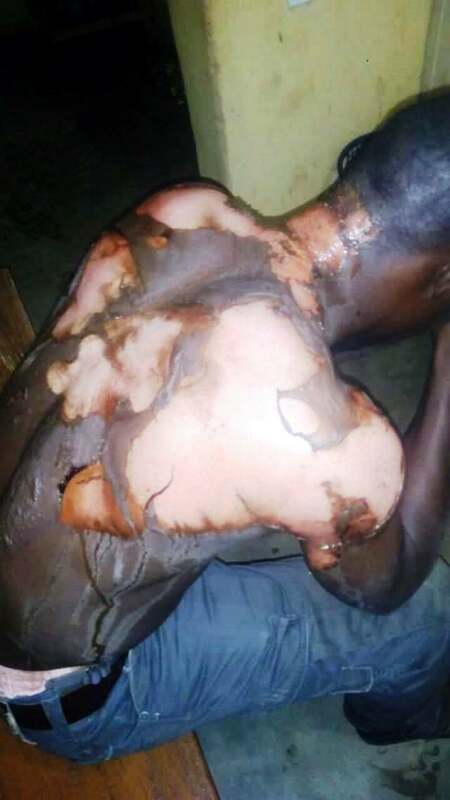 A furious wife identified as Hafsat, has caused wounds on her husband after she poured a pot of boiling water on him as a punishment for marrying a second wife. Read what one of the witnesses wrote on his Facebook page. 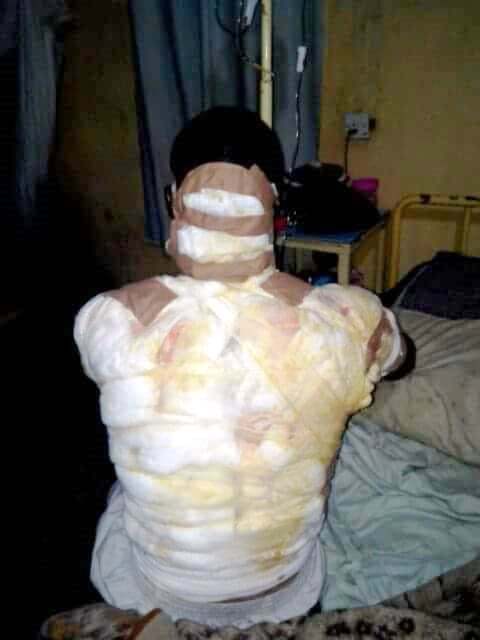 “For marrying a second wife, this was what this young girl Hafsat did to her husband in Fill-in Ball area of Jos . 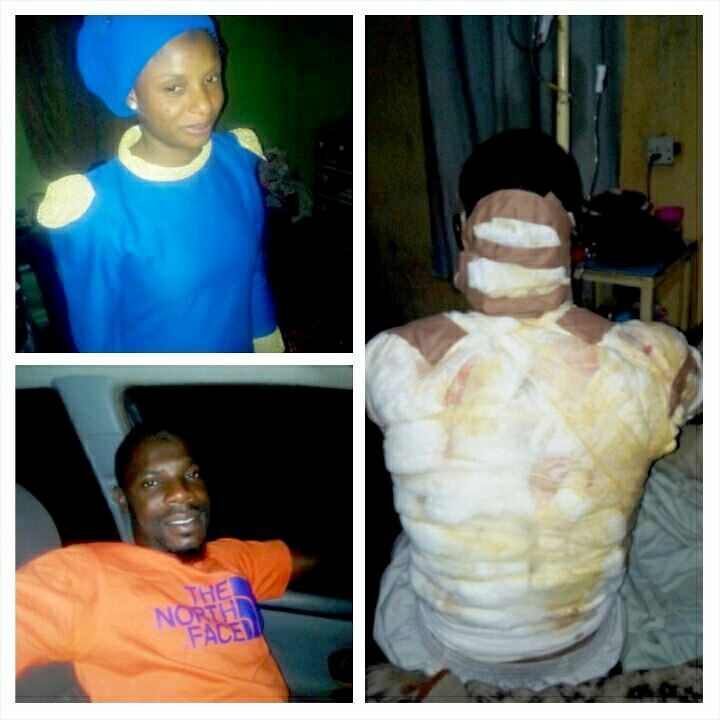 “Mubarak and Hafsat have been married for eight years after courting for six years. They have three children between them. “Trouble however started when Mubarak decided to take a second wife. This did not go down well with Hafsat who became mad, enraged, infuriated and pissed off. “She told the 37 year old Mubarak to divorce her but he begged her saying she just needs to understand that as a Muslim, he is entitled to marry more than one wife. She became hostile towards him. “Eventually, Mubarak married his second wife on the 28 of January 2017. 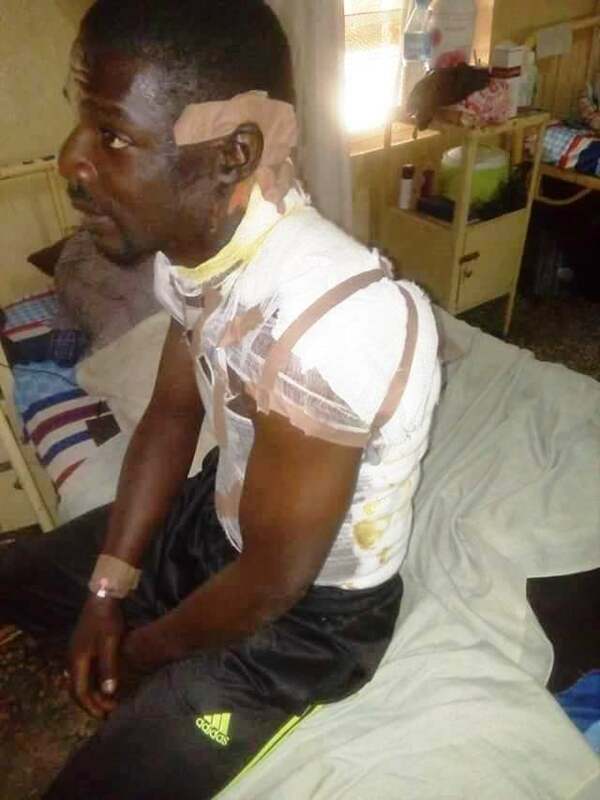 He however accommodated her in Fillin Sukwa area of Jos, a distant from his first wife’s home. Mubarak as promised ensured equity, fairness, impartiality and justice amongst his two wives. “On Monday 20th of February, after returning from his second wife ‘s home, Hafsat the first wife asked Mubarak to go back to where he was coming from (his second wife’s home).